Whether your business sells products or services online, or if you simply need an effective way to promote your business, we provide a comprehensive merchant and website solutions, including easy to use tools for website design, editing and management as well as an extensive suite of marketing tools to effectively manage customer communication. 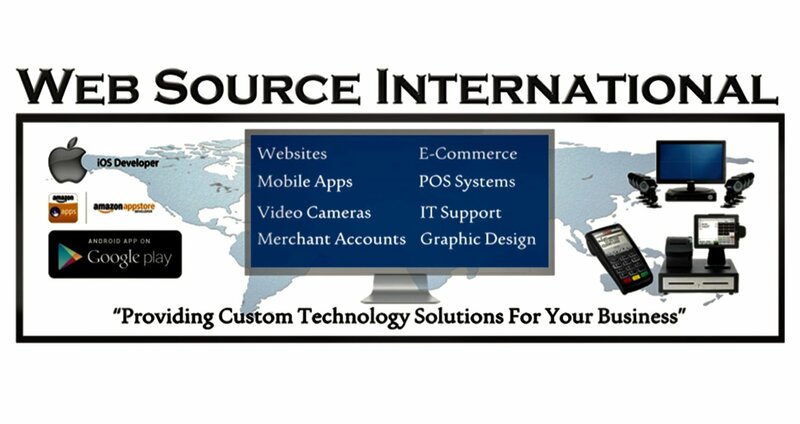 Web Source International is the premier, virtual internetworking corporation that offers solutions for entrepreneurs to prosper in a spirit of contribution and collaboration. The synergistic, professional environment that we provide is unique in its value to the market and in its effectiveness. Our proprietary business model offers entrepreneurs like you a viable business alternative through network distribution, and a way to capitalize on the trends shaping the world of technology today. What’s your vision for your website - classic, modern or edgy? What’s the subject of your website - blog, your business or an event? Our templates cater to all your ideas and needs, while still being customizable to make your website stand out. We are confident we have the easiest to use website builder around, but we also know at times, people have questions. We welcome your feedback and are eager to help with any questions you may have to help make your site the best it can be. Small Business Apps: Take your small business to new heights! Reach new clients and boost your bottom line by integrating e-commerce, coupons, your productcatalog, and much more. reservations, coupons, reviews, and more. Just What Your Business Needs This Tablet Register is the new, powerfully simple point of sale solution built for merchants like you. Available on a tablet, an all-in-one POS solution or a mobile device, This replaces traditional cash registers and credit card terminals to help you make sales more efficiently. Now you can easily access key information, so you can grow and manage your business better than ever.